Former Ogilvy & Mather chief executive will take charge of Leo Burnett London and Fallon London. Publicis Groupe UK has appointed Charlie Rudd, the former chief executive of Ogilvy & Mather London, as chief executive of Leo Burnett London and Fallon London, replacing Gareth Collins. When Rudd starts next Monday (25 March), he will devise and lead the future strategy of the two aligned agencies, working with clients including Kellogg, McDonald’s, Skoda and Axa. Collins is leaving Leo Burnett and Fallon to become chief executive of Dentsu Aegis Network’s Mcgarrybowen. 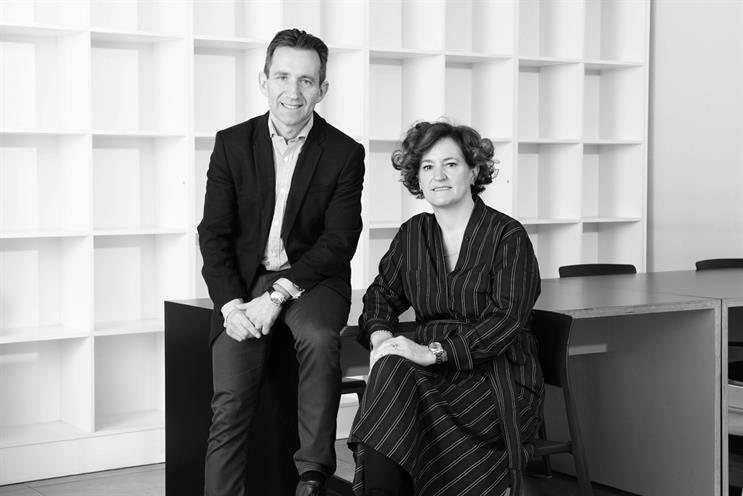 Rudd’s new role reunites him with Annette King, chief executive at Publicis Groupe UK, who hired him to run Ogilvy & Mather when she was chief executive of Ogilvy UK. King said: "Charlie joins at a really exciting time of change and innovation. I know that with his blend of skills and experience, he will bring strong leadership to Leo Burnett London and Fallon London and further collaboration across Publicis Groupe UK. "We would like to thank Gareth for his contributions to Leo Burnett London and Fallon London over the years and wish him well on his next journey." Rudd said working with King was a key draw of the role: "From my point of view, I never imagined not working for Annette at Ogilvy. I'd obviously been keeping in touch with lots of people, but I wanted to work for Annette. I'm looking forward to working with her again." When Rudd joined Ogilvy & Mather London (now Ogilvy) in 2015, he was the agency’s fourth chief executive in 10 years. During his three years at the helm, Ogilvy picked up 14 new accounts, including major brands such as Vodafone and Boots, and achieved its first nomination for Campaign Agency of the Year. After Oglivy integrated its sub-brands under King’s replacement Michael Frohlich, Rudd moved to chief client officer in May last year before departing the agency three months later. Before Ogilvy, Rudd worked at Bartle Bogle Hegarty London for 17 years, rising to managing director from 2008 to 2014, then chief operating officer between 2014 and 2016. Publicis Groupe brought Fallon London and Leo Burnett London together in October 2017 when it appointed Collins, who was already chief executive of the former, as chief executive of the latter. The agencies sit alongside each other at their office on Chancery Lane and staff work across both brands, as many Publicis agency employees do under its "Power of one" proposition. Rudd said: "I plan to be particularly focused on quality of the work at Leo Burnett and Fallon because that’s the contribution they make to the group. Both agencies have been through lots of change. "I want to refocus everyone on the work because that’s what we are here to do. For ourselves, clients and the group. Delivering better work is a team job. I’m really looking forward to working with Chaka [Sobhani, Leo Burnett’s chief creative officer]. We need to give her the support to deliver the work." Rudd declined to give any details about changes he might make to the agency or its structure, saying he planned to spend the first few weeks "listening to people and clients". He continued: "There is so much good work already, but we need to take it up a level."